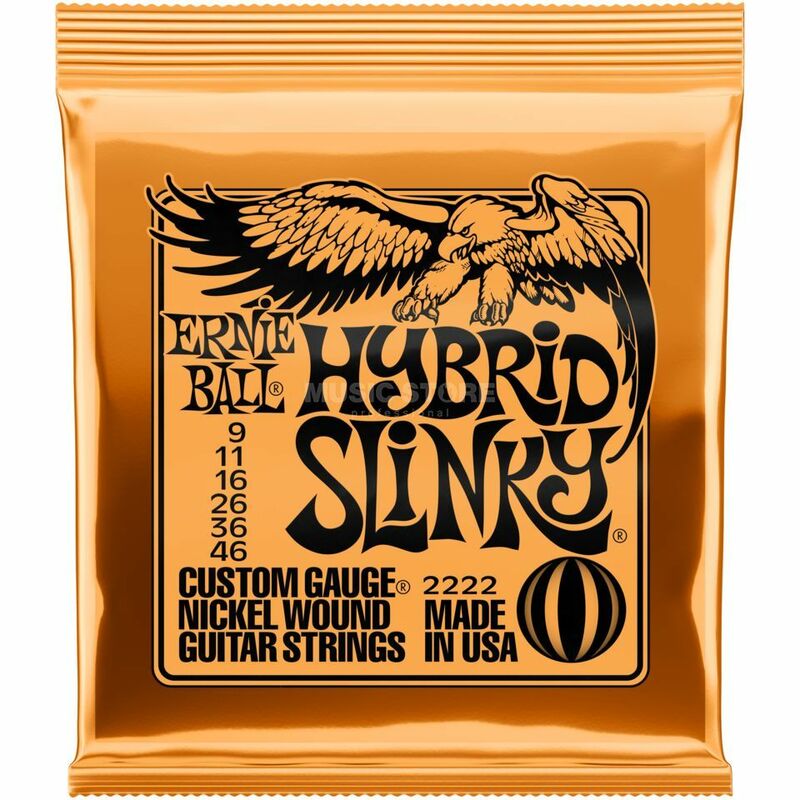 The Ernie Ball 2222 Hybrid Slinky Electric Guitar Strings are a set of custom gauge strings featuring brass ball ends. Highly popular with musicians around the world and used by household names such as Eric Clapton, John Mayer and Steve Vai, Ernie Ball strings are precision manufactured to the highest standards and specifications to ensure consistency, optimum performance and a long life. Slinky wound strings are made from nickel-plated steel wire wrapped around a hexagonal-shaped steel core wire. The plain strings are made from specially tempered tin-plated high-carbon steel; producing a well-balanced tone for your guitar. For all styles of music, and for everyone from beginners to professionals, great to play at home, on live stages or in studio. Beautiful clean sound, and powerful with overdrive and distortion. To stay in tune, with the sound from the first day until the last. As a heavy player, I was looking for heavier low strings that are better for aggressive power-chording and palm mutes, while looking to go thinner on the high side for easier bends and vibrato during soloing - the Hybrid Slinkies are perfect for this in terms of size composition, Earnie Ball strings in general are great, the ones I use the most! Great sounding, perfect for my new Gibson SG.